Stephanie Landram has created these adorable items. All the graphics (except the blue background with clouds and the green backgrounds) are from Previously Online 2 at GraphicGarden.com (see 'Miscellaneous' category under 'Graphics' in the menu). 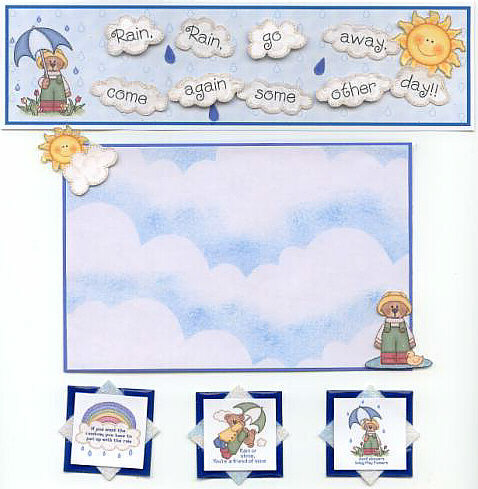 "These items are for a scrapbook page. 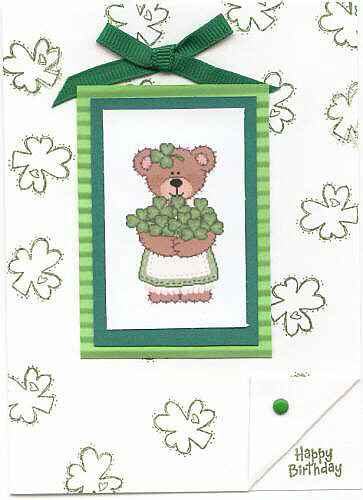 The middle is a photo mat (you can slide the pic under the cloud and the bear)." "This is the b-day card I made for friends that had b-days in March."